Capes: This Seasons Must Have! These Faux Fur Capes are flying off the shelves - and it's not hard to see why! They're extremely warm, they're versatile and they're effortlessly stylish! Prices ranging between €89 & €99 they're also a fab Christmas Gift! We have something for everyone. From the very dressy Poncho - to the more casual Cable Knit Cape we're sure you'll find just the right one for you! This cape is one of our favourites. Check is big in again for Autumn/Winter and this will instantly brighten up a plain black outfit! This is arguably our most popular (After the Sell Out Navy!) It's a Cape but it has sleeves and is nice and cosy! The Faux Fur adds an element of glamour and this piece will be a piece you pull out year, after year! 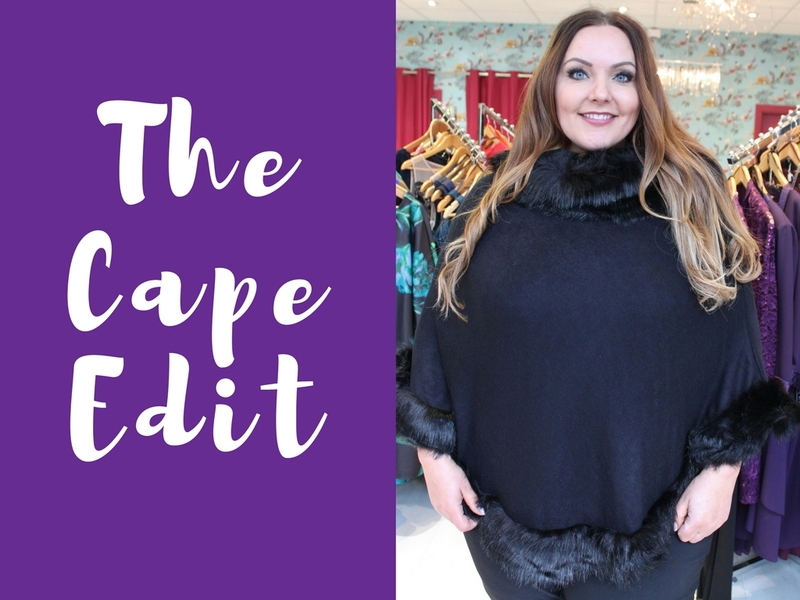 This Cape is definitely an on trend piece! This Print and the Faux Fur Detail - will instantly transform you into a style icon! Wear with Black Skinny Jeans and a heeled boot for a stylish evening look! This Faux Fur Poncho will be perfect for the upcoming Party Season. It's an elegant way to keep warm and the Faux Fur Trim adds an elegant of glam!